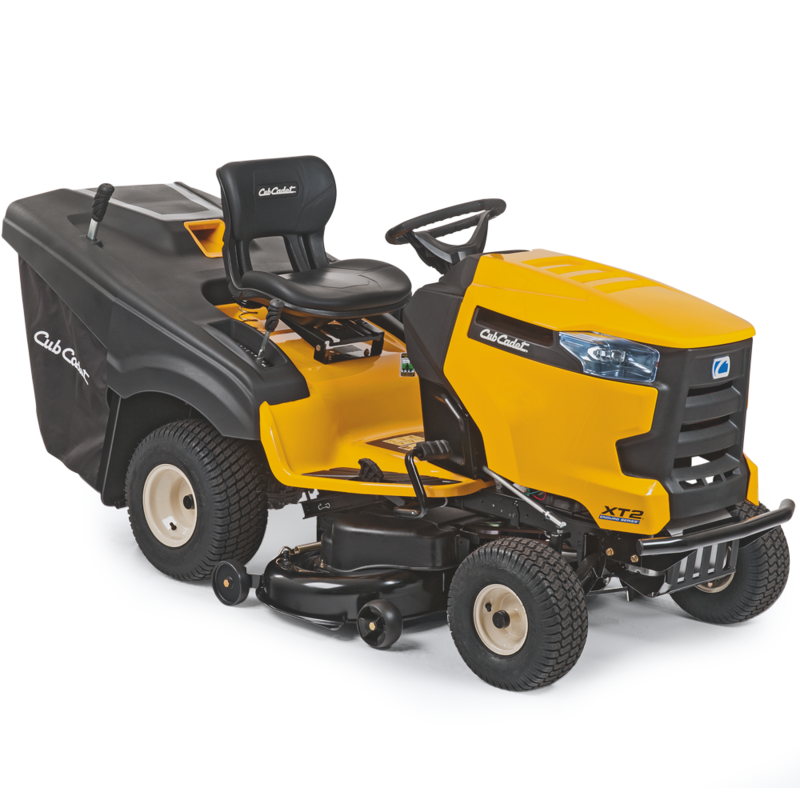 The tightest turning radius on the market makes the Cub Cadet XT2 lawn tractors the most agile in the XT Enduro™ series. They are ideal for working on tough tight terrain thanks to the innovative Tight Turn xTreme system providing the tightest turning radius on the market at just 17cm. This innovative technology delivers unsurpassed manoeuvrability and control in tight places. Quickly and easily select the perfect setting from 30-95mm. 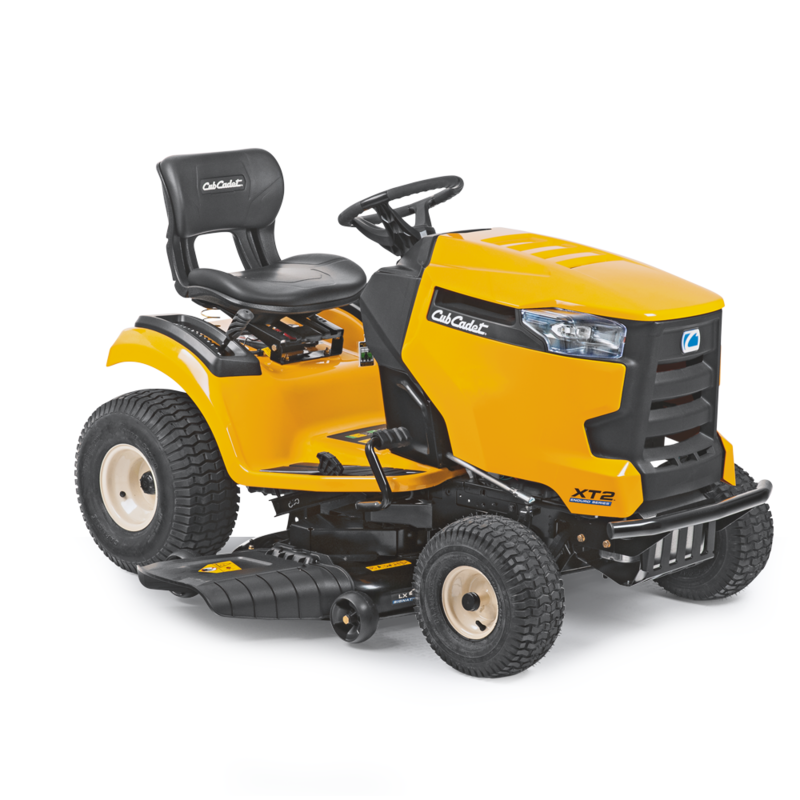 Smooth drive system for precise mowing – simply step on the pedal and go. For the first time, the XT2 PR106ie and XT2 PS117i models feature an engine we manufactured in house. The two- cylinder drive comes with exceptional performance and efficiency. Saving you fuel and money and keeping maintenance costs low. At the touch of a button, the grass catcher on the XT2 PR106ie lifts up and tips the cuttings out. For high durability and absolute robustness available on the XT2 PS117i.